Does Hypnotherapy Work? Does Hypnosis Work? Best Hypnotherapist Melbourne? Call 0435 923 817 to make your appointment today! What is Hypnotherapy? Will Hypnotherapy Work? Can I be Hypnotised? Does Hypnotherapy Work? Can I be hypnotised? Hypnosis is a state of focus and absorption, not unlike daydreaming or the light trance we sometimes experience when doing day to day tasks. Have you ever driven somewhere and realised on arrival that you don't remember a good portion of the trip? That's because you were in a light trance and your conscious mind left your subconscious mind to do the work. In Hypnosis, we allow the conscious mind to take a back seat while we communicate directly with the subconscious. Our core beliefs are stored in the subconscious. It is said that most of our core beliefs are formed by the time we're 7. This is why even when we know on a rational level that certain behaviour's, habits or anxieties don't serve us well, we continue with them, because our subconscious mind is overwriting our conscious mind with default instructions. This often occurs in the form of automatic thoughts that occur so swiftly that we are often into the behaviour or the feeling before we seem to even realise what we're doing. "Why did I eat so much?" "Why did I drink so much? ", "Why did I over react that way?" "Why do I keep finding myself in the same kind of relationship?" "Why can't I give it up?" "Why can't I get over it?" "Why am I so afraid of...?" How many times do we ask ourselves questions like these? In Hypnotherapy we can locate the beliefs that drive these default responses and amend them to enable us to live the lives we want to lead. No it's not. You will be aware at all times and cannot be made to do anything you don't want to do. Everyone is different, most clients would be seen 3 or 4 times depending on the issue. It's suggested the clients wishing to quit smoking attend 3 sessions. Yes. Hypnosis is simply a state of deep focus and absorption, we do it every day without even realising it. It's similar to meditation/ mindfulness. They certainly can work, however they are fare more effective if they are tailored to the individual that is listening to them. Hypnotherapy is about communicating directly to the subconscious about the issues and beliefs that affect the specific client. 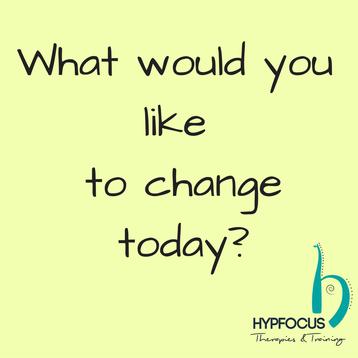 In Hypnotherapy practice these issues have been discussed during therapy prior to hypnosis so that the therapist has a clear understanding of the changes that the client wants to see and what's been holding them back. The client determines the change they want to see and how they want to see it. Is Hypnotherapy covered by Private Health Insurance ?